Mr. Salvatore Marchese-Vasapolli produces photographic still images for a plethora of clients in many areas of photographic expertise; editorial assignments, commercial contracts or supply stock imagery from our photographic files. He has been a featured guest speaker at Photo Expo Photography convention in New York City. Colleges, Universities, Camera Clubs and Community Groups across the United States have attended his educational lecture series. Scores of students have enrolled his workshops that are now working professionally. He has 4 published photographic books one of which "Montana" with text written by Montana's congressman, Pat Williams (Graphic Arts Center Publishing Company) has won both the 2004 SAPPI Gold Medal for top photographic book in North America and World International Awards. He is a 7 time ADDY awarded photographer. His art work hangs in many private collections and corporate offices from New York to California. 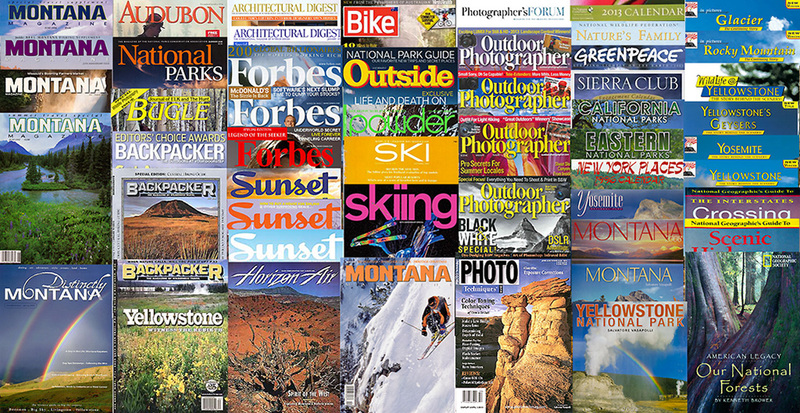 Corporate Sponsors include Moab Paper, Outdoor Photographer and Epson USA. The stock file contains over 1,050,000 images in 35mm, 4x5 transparencies and digital formats. Subjects include sports, architecture, archeology, geology, nature, landscapes, wildlife, cultural events, products, location and travel. Specialties include fine art covers for books, magazines or when presentations requires an art composition with time lasting impact. Geographic areas include Puerto Rico, Costa Rica and the USA outside of Hawaii and Alaska. Book Publishers: American Geographic, Falcon, Ingram (covers), MacMillan, McGraw Hill, Marshall Cavendish, National Geographic (cover), KC (cover), Random House, Simon & Schuster, Workman, Visiphere (cover), Yellowstone Association (cover) and more. 4 Photographic Books: Graphic Arts Center "Montana" 2003 (exclusive), Montana: Portrait of a State 2008, Yellowstone: The Introspective Landscape 2009, Yellowstone: The Introspective Landscape small book 2010. Permanent Exhibits: The National Park Service. Stock Agency- Animals, Animals/ Earth Scenes, PhotoLibrary. Awards- Recipient of: the SAPPI North American 2004 Gold Medal, the SAPPI 2004 World International Gold Medal, 7 ADDY advertising awards. Corporate Sponsors: Epson, Outdoor Photographer, Moab Paper, Halter Ranch Vineyards. Posters, Postcards; NY Graphic Society, Impact, Falcon, Wendt. 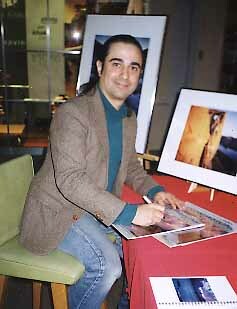 Mr. Vasapolli leads photography workshops throughout North America and gives lectures on his work, travels and the dynamics of today's photography industry. Please click on workshop or contact link above!